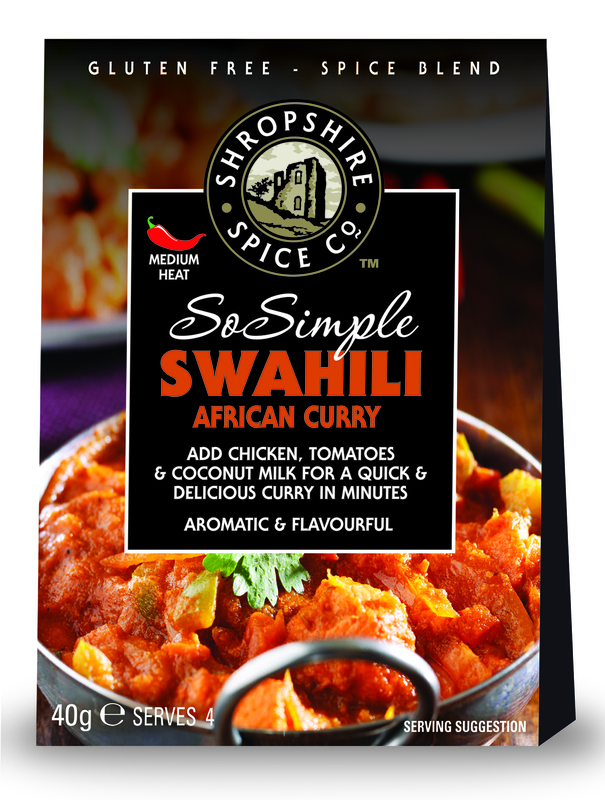 Gluten Free Swahili African Curry Spice Blend – Add chicken, tomatoes & coconut milk for a quick & delicious curry in minutes. Ingredients: Onion Flake, Garlic, Onion Salt, Brown Sugar, Turmeric, Red Pepper, Cumin Seeds, Coriander Seeds, Rice Flour, Black Pepper, Coriander Leaf, Lime Juice Powder, Onion Powder, Chilli Powder. The wife and I adore this curry. Very different from the norm but so so nice. Really glad you both enjoyed it and thank you for taking the trouble to let us know, we really appreciate it. You gave me a sample of this at Hampton Court Christmas fair, and I bought two packets. 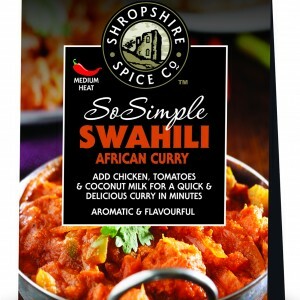 Myhusband loves it more than his previous favourite curry which was Lloyd Grossman Tikka Masala, so I just ordered 12 packets. It is better and also works out cheaper as a packet serves four whereas Grossman jars really only serve two. Postage a bit expensive for light weight products, but otherwise the best! Hi Lisa, sorry it’s taken so long to get back to you, been really busy in the lead up to Christmas. Just wanted to say we’re really pleased that you like our products and took the time to comment. We hope you will continue to enjoy them and if you have an outlet near you that you think may like them let us know and we will contact them and get some samples to them hopefully then you can then buy them locally.